Ice hockey players born between January 1, 1992, and September 15, 1994, were eligible for selection in the 2012 NHL Entry Draft. Additionally, un-drafted, non-North American players over the age of 20 are eligible for the draft; and those players who were drafted in the 2010 NHL Entry Draft, but not signed by an NHL team and who were born after June 24, 1992, were also eligible to re-enter the draft. The NHL draft lottery enables a team to move up to four spots ahead in the draft. Thus, only the bottom five teams were eligible to receive the number one draft pick. Beginning with the 2013 NHL Entry Draft all fourteen teams not qualifying for the Stanley Cup playoffs will have a "weighted" chance at winning the first overall selection. The Edmonton Oilers won the 2012 draft lottery that took place on April 10, 2012, thus moving them up from the second pick to the first pick. Source: NHL Central Scouting final (April 9, 2012) ranking. Nail Yakupov was selected first overall by the Edmonton Oilers. Ryan Murray was selected second overall by the Columbus Blue Jackets. Alex Galchenyuk was selected third overall by the Montreal Canadiens. 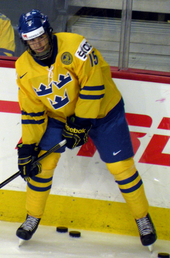 Hampus Lindholm was selected 6th overall by the Anaheim Ducks. Jacob Trouba was selected 9th overall by the Winnipeg Jets. Filip Forsberg was selected 11th overall by the Washington Capitals. 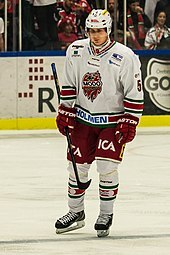 Sebastian Collberg was selected 33rd overall by the Montreal Canadiens. Alexandre Mallet was selected 57th overall by the Vancouver Canucks. The Carolina Hurricanes' first-round pick went to the Pittsburgh Penguins as the result of a trade on June 22, 2012, that sent Jordan Staal to Carolina in exchange for Brandon Sutter, Brian Dumoulin and this pick. The Colorado Avalanche's first-round pick went to the Washington Capitals as the result of a trade on July 1, 2011, that sent Semyon Varlamov to Colorado in exchange for a second-round pick in either 2012 or 2013 and this pick. The Calgary Flames' first-round pick went to the Buffalo Sabres as the result of a trade on June 22, 2012, that sent Nashville's first-round pick in 2012 (21st overall) and Buffalo's second-round pick in 2012 (42nd overall) to Calgary for this pick. The Detroit Red Wings' first-round pick went to the Tampa Bay Lightning as the result of a trade on February 21, 2012, that sent Kyle Quincey to Detroit in exchange for Sebastien Piche and this pick. The Nashville Predators' first-round pick went to the Calgary Flames as the result of a trade on June 22, 2012, that sent Calgary's first-round pick in 2012 (14th overall) to Buffalo in exchange for Buffalo's second-round pick in 2012 (42nd overall) and this pick. Buffalo previously acquired this pick as the result of a trade on February 27, 2012, that sent Paul Gaustad and Buffalo's fourth-round draft pick in 2013 to Nashville in exchange for this pick. The Minnesota Wild's second-round pick went to the Nashville Predators as the result of a trade on June 15, 2012, that sent Anders Lindback, Kyle Wilson and Nashville's seventh-round pick in 2012 to Tampa Bay in exchange for Sebastien Caron, Philadelphia's second-round pick in 2012, Tampa Bay's third-round pick in 2013 and this pick. Tampa Bay previously acquired this pick as the result of a trade on February 16, 2012, that sent Dominic Moore and a seventh-round pick in 2012 to San Jose in exchange for this pick. San Jose previously acquired this pick as the result of a trade on June 24, 2011, that sent Devin Setoguchi, Charlie Coyle and a first-round pick in 2011 to Minnesota in exchange for Brent Burns and this pick. The Buffalo Sabres' second-round pick went to the Calgary Flames as the result of a trade on June 22, 2012, that sent Calgary's first-round pick in 2012 (14th overall) to Buffalo in exchange for Nashville's first-round pick in 2012 (21st overall) and this pick. The Calgary Flames' second-round pick went to the Buffalo Sabres as the result of a trade on June 25, 2011, that sent Chris Butler and Paul Byron to Calgary in exchange for Robyn Regehr, Ales Kotalik and this pick. The Ottawa Senators' second-round pick went to the Philadelphia Flyers as a result of a trade on June 22, 2012, that sent Sergei Bobrovsky to Columbus in exchange for Vancouver's fourth-round pick in 2012, Phoenix's fourth round pick in 2013, and this pick. Columbus previously acquired this pick as a result of a trade on February 22, 2012, that sent Antoine Vermette to Phoenix in exchange for Curtis McElhinney, a conditional fourth-round pick in 2013 and this pick. Phoenix previously acquired this pick as a result of a trade on December 17, 2011, that sent Kyle Turris to Ottawa in exchange for David Rundblad and this pick. The Washington Capitals' second-round pick went to the Minnesota Wild as the result of a trade on February 24, 2012, that sent Marek Zidlicky to New Jersey in exchange for Kurtis Foster, Nick Palmieri, Stephane Veilleux, a conditional third-round pick in 2013 and this pick. New Jersey previously acquired this pick as the result of a trade on February 28, 2011, that sent Jason Arnott to Washington in exchange for Dave Steckel and this pick. The San Jose Sharks' second-round pick went to the Carolina Hurricanes as the result of a trade on February 18, 2011, that sent Ian White to San Jose in exchange for this pick. The Philadelphia Flyers' second-round pick went to the Nashville Predators as the result of a trade that sent Anders Lindback, Kyle Wilson and Nashville's seventh-round pick in 2012 to Tampa Bay in exchange for Sebastien Caron, Minnesota's second-round pick in 2012, Tampa Bay's third-round pick in 2013 and this pick. Tampa Bay previously acquired this pick as the result of a trade on July 1, 2010, that sent Andrej Meszaros to Philadelphia in exchange for this pick. The Nashville Predators' second-round pick went to the Montreal Canadiens as the result of a trade on February 17, 2012, that sent Hal Gill and a conditional fifth-round pick in 2013 to Nashville in exchange for Blake Geoffrion, Robert Slaney and this pick. The Florida Panthers' second-round pick went to the Tampa Bay Lightning as the result of a trade on February 18, 2012, that sent Pavel Kubina to Philadelphia in exchange for Philadelphia's fourth-round pick in 2013, Jon Kalinski and this pick (being conditional at the time of the trade). The condition – Florida will trade a second-round pick in 2012 or 2013 at their choice – was converted on June 23, 2012. Philadelphia previously acquired this pick as the result of a trade on July 1, 2011, that sent Kris Versteeg to Florida in exchange for San Jose's third-round pick in 2012 and this conditional pick. The Boston Bruins' second-round pick went to the Dallas Stars as the result of a trade on June 22, 2012, that sent Mike Ribeiro to Washington in exchange for Cody Eakin and this pick. Washington previously acquired this pick as the result of a trade on July 1, 2012, that sent Semyon Varlamov to Colorado in exchange for Colorado's first round pick, as well as this pick. Washington opted to take this pick on June 15, 2012. Colorado previously acquired this pick as the result of a trade on June 24, 2011, that sent John-Michael Liles to Toronto in exchange for this pick. Toronto previously acquired the pick as the result of a trade that sent Tomas Kaberle to the Bruins in exchange for Joe Colborne, a first-round pick in 2011, and this pick (being conditional at the time of the trade). The condition – Boston reaching the 2011 Stanley Cup Finals – was converted on May 27, 2011. The San Jose Sharks received the 25th pick of this round (55th overall) as compensation for not signing 2007 first-round draft pick Patrick White. The Los Angeles Kings' second-round pick went to the Dallas Stars as the result of a trade on February 16, 2012, that sent Nicklas Grossmann to Philadelphia in exchange for Minnesota's third-round pick in 2013 and this pick. Philadelphia previously acquired this pick as the result of a trade on June 23, 2011, that sent Mike Richards to Los Angeles in exchange for Wayne Simmonds, Brayden Schenn and this pick. Matt Murray was selected 83rd overall by the Pittsburgh Penguins. Colton Parayko was selected 86th overall by the St. Louis Blues. The Toronto Maple Leafs' third-round pick went to the Nashville Predators as the result of a trade on June 25, 2011, that sent Nashville's third-round pick in 2011 to Los Angeles in exchange for Los Angeles' sixth-round pick in 2011 and this pick. Los Angeles previously acquired the pick as the result of a trade on June 26, 2010, that sent Los Angeles' third-round pick in 2010 to Toronto in exchange for this pick. The Anaheim Ducks' third-round pick went to the St. Louis Blues as the result of a trade on February 28, 2011, that sent Brad Winchester to Anaheim in exchange for this pick. The San Jose Sharks' third-round pick went to the Philadelphia Flyers as the result of a trade on July 1, 2011, that sent Kris Versteeg to Florida in exchange for a conditional second-round pick in either 2012 or 2013 and this pick. Florida previously acquired this pick as the result of a trade on June 25, 2011, that sent a second-round pick in 2011 to San Jose in exchange for a second-round pick in 2011 and this pick. The Philadelphia Flyers' third-round pick went to Pittsburgh Penguins as the result of a trade on June 22, 2012, that sent Zbynek Michalek to Phoenix in exchange for Harrison Ruopp, Marc Cheverie and this pick. Phoenix had previously acquired this pick as the result of a trade on June 7, 2011, that sent Ilya Bryzgalov to Philadelphia in exchange for Matt Clackson, a conditional third-round pick in 2011 and future considerations (which became this pick). The Nashville Predators' third-round pick went to the Ottawa Senators as the result of a trade on February 10, 2011, that sent Mike Fisher to Nashville in exchange for a first-round pick in 2011 and this pick (being conditional at the time of the trade). The condition – Nashville wins one round of the 2011 Stanley Cup playoffs – was converted on April 24, 2011. The Vancouver Canucks' third-round pick went to the Anaheim Ducks as the result of a trade on February 28, 2011, that sent Maxim Lapierre and MacGregor Sharp to Vancouver in exchange for Joel Perrault and this pick. The New York Rangers' third-round pick went to the Nashville Predators as the result of a trade on June 23, 2012, that sent Nashville's third-round pick in 2013 to the New York Rangers for this pick. The Los Angeles Kings' third-round pick went to the Edmonton Oilers as the result of a trade on February 28, 2011, that sent Dustin Penner to Los Angeles in exchange for Colten Teubert, a first-round pick in 2011 and this pick (being conditional at the time of the trade). The condition – Los Angeles will not win the 2011 Stanley Cup – was converted on April 25, 2011. The Columbus Blue Jackets' fourth-round pick went to the Pittsburgh Penguins as the result of a trade on November 8, 2011, that sent Mark Letestu to Columbus in exchange for this pick. The New York Islanders' fourth-round pick went to the Columbus Blue Jackets as the result of a trade on February 27, 2012, that sent Samuel Pahlsson to Vancouver in exchange for Vancouver's fourth-round pick in 2012 and this pick. Vancouver previously acquired this pick as the result of a trade on June 28, 2011, that sent Christian Ehrhoff to New York in exchange for this pick. The Toronto Maple Leafs' fourth-round pick went to the New Jersey Devils as the result of a trade on October 4, 2011, that sent Dave Steckel to Toronto in exchange for this pick. The Winnipeg Jets' fourth-round pick went to the Washington Capitals as the result of a trade on July 8, 2011, that sent Eric Fehr to Winnipeg in exchange for Danick Paquette and this pick. The Colorado Avalanche's fourth-round pick went to the Phoenix Coyotes as the result of a trade on June 28, 2010, that sent Daniel Winnik to Colorado in exchange for this pick. The Buffalo Sabres' fourth-round pick went to the New York Islanders as the result of a trade on June 29, 2011, that sent Christian Ehrhoff to Buffalo in exchange for this pick. The San Jose Sharks' fourth-round pick went to the Anaheim Ducks as the result of a trade on March 4, 2009, that sent Travis Moen and Kent Huskins to San Jose in exchange for Nick Bonino, Timo Pielmeier, a conditional pick in either 2009 or 2011 and this pick (being conditional at the time of the trade). The condition – San Jose re-signs at least one of Moen or Huskins while Anaheim signs neither of the two players – was converted on July 9 and 10, 2009. The Chicago Blackhawks' fourth-round pick went to the San Jose Sharks as the result of a trade on June 23, 2012, that sent Tampa Bay's seventh-round pick in 2012 (191st overall) and San Jose's fourth-round pick in 2013 to Chicago in exchange for this pick. The Boston Bruins' fourth-round pick went to the Carolina Hurricanes as the result of a trade on July 5, 2011, that sent Joe Corvo to Boston in exchange for this pick. The Vancouver Canucks' fourth-round pick went to the Philadelphia Flyers as a result of a trade on June 22, 2012, that sent Sergei Bobrovsky to Columbus in exchange for Ottawa's second-round pick in 2012, Phoenix's fourth-round pick in 2013, and this pick. 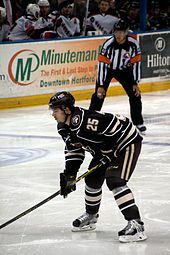 Columbus previously acquired this pick as a result of a trade on February 27, 2012, that sent Samuel Pahlsson to Vancouver in exchange for the NY Islanders' fourth-round pick in 2012 and this pick. The Phoenix Coyotes' fourth-round pick went to the Nashville Predators as the result of a trade on October 28, 2011, that sent Cal O'Reilly to Phoenix in exchange for this pick. The New Jersey Devils' fourth-round pick went to the Carolina Hurricanes as the result of a trade on January 20, 2012, that sent Alexei Ponikarovsky to New Jersey in exchange for Joe Sova and this pick. Connor Hellebuyck was selected 130th overall by the Winnipeg Jets. Connor Carrick was selected 137th overall by the Washington Capitals. The Columbus Blue Jackets' fifth-round pick went to the Montreal Canadiens as the result of a trade on June 29, 2011, that sent James Wisniewski to Columbus in exchange for this pick (being conditional at the time of the trade). The condition – Wisniewski is signed by Columbus for the 2011–12 NHL season – was converted on July 1, 2011. The Montreal Canadiens' fifth-round pick went to the Calgary Flames as the result of a trade on January 12, 2012, that sent Rene Bourque, Patrick Holland and Calgary's second-round pick in 2013 to Montreal in exchange for Michael Cammalleri, Karri Ramo and this pick. The Anaheim Ducks' fifth-round pick was re-acquired from the Montreal Canadiens as the result of a trade on February 16, 2011, that sent Paul Mara to Montreal in exchange for this pick. Montreal previously acquired the pick as the result of a trade on December 31, 2010, that sent Maxim Lapierre to Anaheim in exchange for Brett Festerling and this pick. The Tampa Bay Lightning's fifth-round pick will go to the Boston Bruins as the result of a trade on June 23, 2012, that sent Benoit Pouliot to Tampa Bay in exchange for Michel Ouellet and this pick. The Calgary Flames' fifth-round pick went to the New Jersey Devils as the result of a trade on July 14, 2011, that sent Pierre-Luc Letourneau-Leblond to Calgary in exchange for this pick. The Nashville Predators' fifth-round pick went to the New York Rangers as the result of a trade on June 23, 2012, that sent New York's fifth-round pick in 2013 to Nashville in exchange for this pick. The Florida Panthers' fifth-round pick went to the Dallas Stars as the result of a trade on December 7, 2011, that sent Krys Barch and a sixth-round pick to Florida in exchange for Jake Hauswirth and this pick. The New York Rangers' fifth-round pick went to the Chicago Blackhawks as the result of a trade on February 27, 2012, that sent John Scott to New York in exchange for this pick. The Anaheim Ducks' sixth-round pick went to the Toronto Maple Leafs as the result of a trade on June 25, 2011, that sent a sixth-round pick in 2011 to Anaheim in exchange for this pick. The Dallas Stars' sixth-round pick went to the Nashville Predators as the result of a trade on February 24, 2012, that sent Jerred Smithson to Florida in exchange for this pick. Florida previously acquired this pick as the result of a trade on December 7, 2011, that sent Jake Hauswirth and a fifth-round pick to Dallas in exchange for Krys Barch and this pick. The Philadelphia Flyers' sixth-round pick went to the Los Angeles Kings as the result of a trade on October 12, 2011, that sent future considerations to Philadelphia in exchange for Stefan Legein and this pick. The New York Rangers' sixth-round pick went to the Nashville Predators as the result of a trade on June 25, 2011, that sent a sixth-round pick in 2011 to New York in exchange for this pick. Viktor Loov, drafted 209th by the Toronto Maple Leafs. The Edmonton Oilers' seventh-round pick went to the Dallas Stars as the result of a trade on June 23, 2012, that sent Dallas' seventh-round pick in 2013 to Los Angeles in exchange for this pick. Los Angeles previously acquired this pick as the result of a trade on June 26, 2011, that sent Ryan Smyth to Edmonton in exchange for Colin Fraser and this pick. The Montreal Canadiens' seventh-round pick went to the Phoenix Coyotes as a result of a trade on October 23, 2011, that sent Petteri Nokelainen and Garrett Stafford to Montreal in exchange for Brock Trotter and this pick. The Toronto Maple Leafs' seventh-round pick went to the Calgary Flames as the result of a trade on July 27, 2009, that sent Wayne Primeau and Calgary's second-round draft pick in 2011 to Toronto in exchange for Anton Stralman, Colin Stuart and this pick. The Tampa Bay Lightning's seventh-round pick went to the Chicago Blackhawks as the result of a trade on June 23, 2012, that sent Chicago's fourth-round pick in 2012 to San Jose in exchange for San Jose's fourth-round pick in 2013 and this pick. San Jose previously acquired this pick as the result of a trade on February 16, 2012, that sent Minnesota's second-round pick in 2012 to Tampa Bay in exchange for Dominic Moore and this pick. The Dallas Stars' seventh-round pick went to the Florida Panthers as the result of a trade on June 23, 2012, that sent Florida's seventh-round pick in 2013 to Dallas in exchange for this pick. The Calgary Flames' seventh-round pick went to the Washington Capitals as a result of a trade on July 17, 2009, that sent Keith Seabrook to Calgary in exchange for this pick, originally presented as "future considerations". The Nashville Predators' seventh-round pick went to the Tampa Bay Lightning as the result of a trade on June 15, 2012, that sent Sebastien Caron, Minnesota's second-round pick in 2012, Philadelphia's second-round pick in 2012 and Tampa Bay's third-round pick in 2013 to Nashville in exchange for Anders Lindback, Kyle Wilson and this pick. The Pittsburgh Penguins' seventh-round pick went to the Washington Capitals as the result of a trade on June 4, 2012, that sent Tomas Vokoun to Pittsburgh in exchange for this pick. The Florida Panthers' seventh-round pick went to the Buffalo Sabres as the result of a trade on June 29, 2011, that sent Steve Montador to Chicago in exchange for this pick (being conditional at the time of the trade). The condition, which was carried over from an earlier trade between Chicago and Florida – Florida's seventh-round pick in 2012 would be available – was converted on July 7, 2011 when Alexander Sulzer was signed by the Vancouver Canucks, meaning that a condition of a trade between Florida and the Nashville Predators involving Sulzer and this pick did not come into effect. Chicago previously acquired the pick as the result of a trade on June 26, 2011, that sent Tomas Kopecky to Florida in exchange for this pick. The New York Rangers' seventh-round pick went to the Toronto Maple Leafs as the result of a trade on February 28, 2011, that sent John Mitchell to New York in exchange for this pick. The New Jersey Devils' seventh-round pick went to the Anaheim Ducks as the result of a trade on December 12, 2011, that sent Kurtis Foster and Timo Pielmeier to New Jersey in exchange for this Rod Pelley, Mark Fraser and this pick. ^ "Hockey Operations Guidelines - NHL.com - NHL Headquarters". NHL.com. Retrieved August 14, 2012. ^ "North American Skaters Final Rankings". Retrieved April 9, 2012. ^ "European Skaters Final Rankings". Retrieved April 9, 2012. ^ "North American Goalies Final Rankings". Retrieved April 9, 2012. ^ "European Goalies Final Rankings". Retrieved April 9, 2012. ^ "Staal traded to Carolina". TSN. June 22, 2012. Retrieved June 22, 2012. ^ "Capitals trade Varlamov's rights to Avalanche". National Hockey League. July 1, 2011. Retrieved July 1, 2011. ^ a b c Masisak, Corey (June 23, 2012). "Quality outdoes quantity on Draft Night trades". nhl.com. Retrieved June 23, 2012. ^ "Lightning acquire Quincy for Downie then Deal him to Wings". TSN. February 21, 2012. Retrieved February 21, 2012. ^ a b c "Lightning Acquire G Lindback From Predators For Caron, Picks". TSN.ca. Retrieved June 15, 2012. ^ a b "Lightning deal Dominic Moore to Sharks for pick". National Hockey League. Retrieved February 17, 2012. ^ Roarke, Shawn P. "Sharks deal Setoguchi to Wild for Burns, picks". official website. National Hockey League. Retrieved June 25, 2011. ^ a b c d e f "Defensemen deals highlight draft weekend trades". official website. National Hockey League. Retrieved June 25, 2011. ^ a b "Flyers trade G Bobrovsky to Blue Jackets". TSN.ca. June 22, 2012. Retrieved June 22, 2012. ^ "Blue Jackets trade F Vermette to Coyotes". TSN.ca. February 22, 2012. Retrieved February 22, 2012. ^ "Turris traded to Ottawa for Rundblad, pick". National Hockey League. December 17, 2011. ^ Kimelman, Adam. "Devils acquire Zidlicky from Wild". National Hockey League. Retrieved February 25, 2012. ^ "Capitals acquire center Jason Arnott from New Jersey Devils in exchange for David Steckel". Washington Post. Retrieved February 28, 2011. ^ "Sharks add defenseman White from Hurricanes". National Hockey League. Retrieved February 18, 2011. ^ "Flyers add Meszaros from Bolts for pick". National Hockey League. Retrieved July 1, 2010. ^ "Canadiens acquire Geoffrion from Predators in trade for Gill". TSN. February 17, 2012. Retrieved February 17, 2012. ^ "Flyers acquire Kubina from Lightning". National Hockey League. Retrieved February 18, 2012. ^ "Flyers trade Versteeg to Panthers for picks". National Hockey League. Retrieved July 1, 2011. ^ "Caps land Mike Ribeiro from Stars". National Hockey League. Retrieved June 22, 2012. ^ "Caps taking Avalanche second-rounder in 2012 from Varlamov trade". WashingtonTimes.com. Archived from the original on June 18, 2012. Retrieved June 15, 2012. ^ "Avalanche deal Liles to Maple Leafs". official website. National Hockey League. Retrieved June 24, 2011. ^ "Bruins Acquire Kaberle from Toronto". Boston Bruins. Retrieved February 18, 2011. ^ "Signs point to Sharks choosing not to retain Patrick White, instead will recieve[sic] compensation". Fearthefin.com. Retrieved August 16, 2011. ^ "Flyers Ship Out Richards And Carter In Two Blockbuster Deals". website. The Sports Network. Retrieved June 23, 2011. 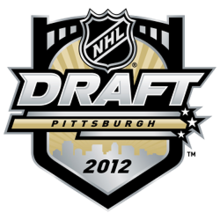 ^ "Trades announced at the NHL Entry Draft on Day 2". National Hockey League. Retrieved June 27, 2010. ^ "Winchester Traded to Ducks for Pick". National Hockey League. February 28, 2011. ^ "2011 Free Agency Tracker". Philadelphia Flyers. Retrieved July 1, 2011. ^ "Penguins Acquire Harrison Ruopp, Marc Cheverie and a 2012 Third-Round Draft Pick from the Phoenix Coyotes in Exchange for Zbynek Michalek" (Press release). Pittsburgh Penguins. ^ "Coyotes trade Bryzgalov's rights to Flyers for 3rd round pick". TSN. Retrieved June 8, 2011. ^ a b "Preds Acquire Mike Fisher From Ottawa Senators". Nashville Predators official website. February 10, 2011. Retrieved February 10, 2011. ^ "Predators 4, Ducks 2". NHL.com. April 24, 2011. Archived from the original on May 4, 2011. Retrieved May 10, 2011. ^ "Canucks land Lapierre from Anaheim". National Hockey League. Retrieved February 28, 2011. ^ "Oilers trade Penner to Kings for Teubert, draft picks". National Hockey League. Retrieved February 28, 2011. ^ Sadowski, Rick. "Sharks advance on Thornton's OT goal". Official website. National Hockey League. Retrieved January 13, 2012. ^ "Letestu Acquired from Penguins". Columbus Blue Jackets. November 8, 2011. Archived from the original on November 14, 2011. Retrieved November 8, 2011. ^ a b TSN (February 27, 2012). "Canucks acquire Pahlsson from Blue Jackets for picks". TSN.ca. Retrieved February 28, 2012. ^ "Canucks acquire draft pick from the Islanders for Ehrhoff's rights". Vancouver Canucks. June 28, 2011. ^ "Leafs Acquire Steckel From Devils". Toronto Maple Leafs. October 4, 2011. Retrieved October 4, 2011. ^ "Jets acquire Eric Fehr from Capitals". nhl.com. National Hockey League. Retrieved July 8, 2011. ^ "Avalanche Acquires Winnik". Colorado Avalanche. Archived from the original on July 4, 2010. Retrieved June 28, 2010. ^ "Islanders Trade Negotiating Rights for Ehrhoff to Buffalo". New York Islanders. June 29, 2011. Retrieved June 29, 2011. ^ Morreale, Mike G. (March 4, 2009). "Sharks, Ducks pull off 4-player deal". nhl.com. Retrieved March 5, 2009. ^ "Huskins Signs 2-Year Deal". San Jose Sharks. July 9, 2009. Archived from the original on July 15, 2009. Retrieved July 28, 2009. ^ "Habs ink Travis Moen". Montreal Canadiens. July 10, 2009. Archived from the original on August 6, 2009. Retrieved July 28, 2009. ^ a b "Blackhawks, Sharks swap draft picks". Official website. National Hockey League. Retrieved June 23, 2012. ^ "Canes Acquire 2012 Fourth-Round Pick from Boston". Carolina Hurricanes. July 5, 2011. Retrieved July 5, 2011. ^ "Coyotes Acquire O'Reilly from Nashville for 2012 Draft Pick". Official website. Phoenix Coyotes. Retrieved December 26, 2011. ^ "Canes Acquire Sova and Draft Pick from Devils". Carolina Hurricanes. January 20, 2012. ^ a b "Habs deal Wisniewski's rights to Blue Jackets". National Hockey League. Retrieved June 29, 2011. ^ "Defenceman Wisniewski Inks Six-Year Deal With Blue Jackets". Total Sports Network. Retrieved July 1, 2011. ^ "Ducks Trade Mara to Montreal for Fifth-Round Selection in 2012". Anaheim Ducks. Retrieved February 16, 2011. ^ "Ducks Acquire Center Lapierre from Montreal". Anaheim Ducks. Retrieved December 31, 2010. ^ a b c d "Canada, U.S. lead the way with most draft picks". National Hockey League. June 23, 2012. ^ "Flames acquire Letourneau-Leblond". Calgary Flames. July 14, 2011. Retrieved July 14, 2011. ^ "Panthers Acquire F Krys Barch". Florida Panthers. December 7, 2011. Retrieved December 7, 2011. ^ "Rangers obtain Scott from Blackhawks". New York Rangers. February 27, 2012. ^ "Panthers Acquire Jerred Smithson from Nashville". Florida Panthers. Retrieved February 24, 2012. ^ "Dallas Stars trade Krystofer Barch to Florida". Dallas Stars. December 7, 2011. Retrieved December 7, 2011. ^ "Kings Acquire Stefan Legein, Draft Pick From Philadelphia". Official website. Los Angeles Kings. Retrieved December 26, 2011. ^ "Kings Acquire F Colin Fraser and a 2012 7th-Round Pick in the 2012 NHL Entry Draft from the Oilers for F Ryan Smyth". official website. Los Angeles Kings. June 26, 2011. ^ "Canadiens acquire Petteri Nokelainen and Garrett Stafford from the Phoenix Coyotes, in return for Brock Trotter and a 7th-round draft pick in 2012". Montreal Canadiens. October 23, 2011. ^ "Leafs Acquire Primeau and Draft Pick From Calgary". Toronto Maple Leafs. July 27, 2009. ^ "Capitals Trade Defenceman Keith Seabrook To Flames". TSN. Retrieved June 23, 2012. ^ "Penguins Acquire Goaltender Tomas Vokoun; Veteran Netminder Signs Two-Year Contract". Official website. Pittsburgh Penguins. Retrieved June 4, 2012. ^ "Blackhawks acquire defenseman Steve Montador". Chicago Blackhawks. June 30, 2011. Retrieved June 30, 2011. ^ a b "Panthers Acquire Negotiating Rights To Tomas Kopecky". Florida Panthers. June 27, 2011. Retrieved June 27, 2011. ^ "Canucks ink G Climie, D Sulzer to one-year deals". Total Sports Network. Retrieved July 8, 2011. ^ "Nashville Predators Acquire a Conditional Seventh-Round Pick from Florida". Nashville Predators. February 25, 2011. Retrieved February 25, 2011. ^ "Maple Leafs trade Mitchell to Rangers for seventh-round pick". TSN. February 28, 2011. ^ "Ducks Acquire Rod Pelley, Mark Fraser and a Seventh-Round Draft Pick From New Jersey For Kurtis Foster and Timo Pielmeier". Official website. Anaheim Ducks. Retrieved December 26, 2011.